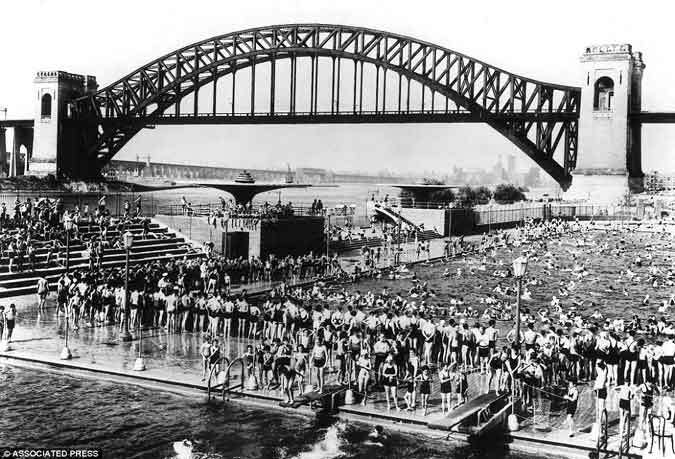 New Yorkers cool off in the Astoria public pool with the Hell Gate railroad bridge looming in the background in the summer of 1940. 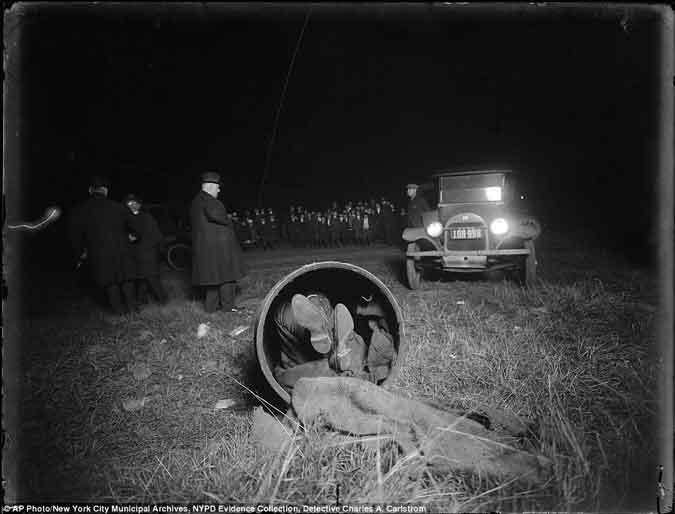 Murder most foul: A detective took this crime scene photo in 1918 after children found the body of Gaspare Candella stuffed in a drum and dumped in a field in Brooklyn, New York. The key to success is sometimes just the willingness to put one foot in front of the other one more time. I have ten marathons under my belt, including four New York races and one Boston. When you are running a grueling race with thousands of people, for the most part it doesn’t matter where in the pack you finish. What matters is simply that you finish. It’s all about persistence. The difference between those who finish and those who give up lies in the old axiom that successful people do those things that unsuccessful people don’t like to do. Successful people have the determination, the will, the focus, the drive to complete the tough jobs – like running a marathon. Keeping your eye on the prize is usually easier said than done. It’s easy to get overwhelmed by the demands of a long-term project. Focus on what you can accomplish rather than the obstacles that stand in front of you. Direct your energy toward achieving a goal, and tackle the problems with an emphasis on edging closer to a successful result. When you identify a roadblock, develop a realistic plan to overcome it. To paraphrase Winston Churchill: Never, never, never, never, never, never, never give up. Read the full article – Harvey Mackay, Inc.